Custom Trout Net Can't beat it for the price! 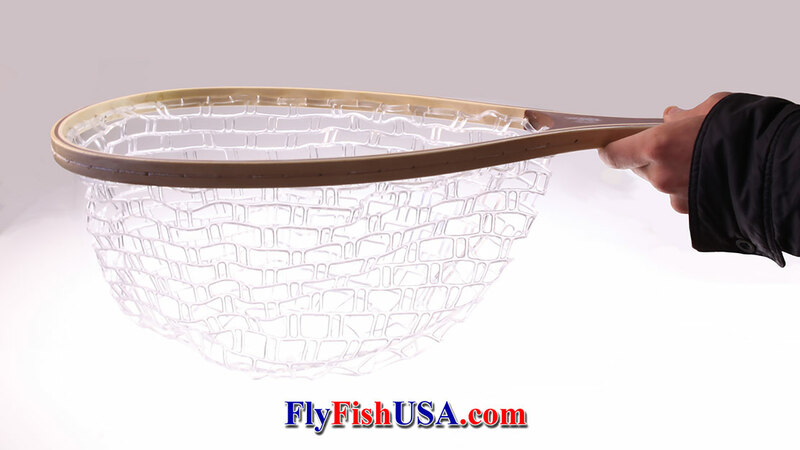 Good for all fishes up to 18"
Finely crafted wooden bow and handle with crystal clear, elastic, stretchy, non-absorbent polymer net bag. Bow size is 9" X 14". 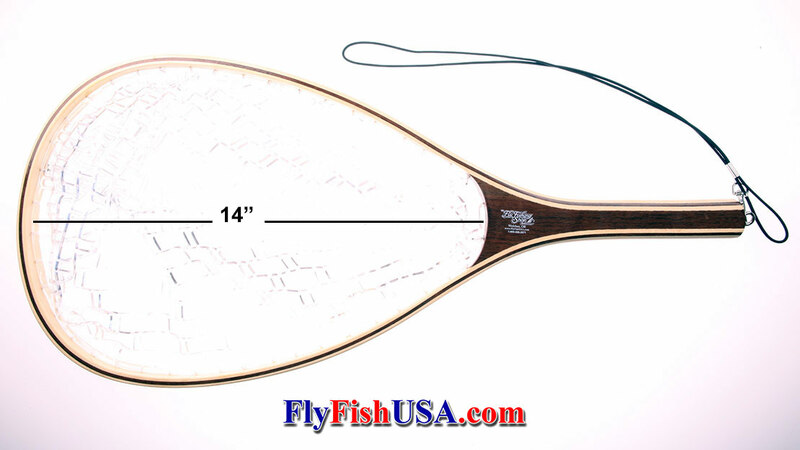 Easily lands most trout up to 18" long.